Hot Toys’ Facebook Page has posted a preview of their next Movie Masterpiece figure. 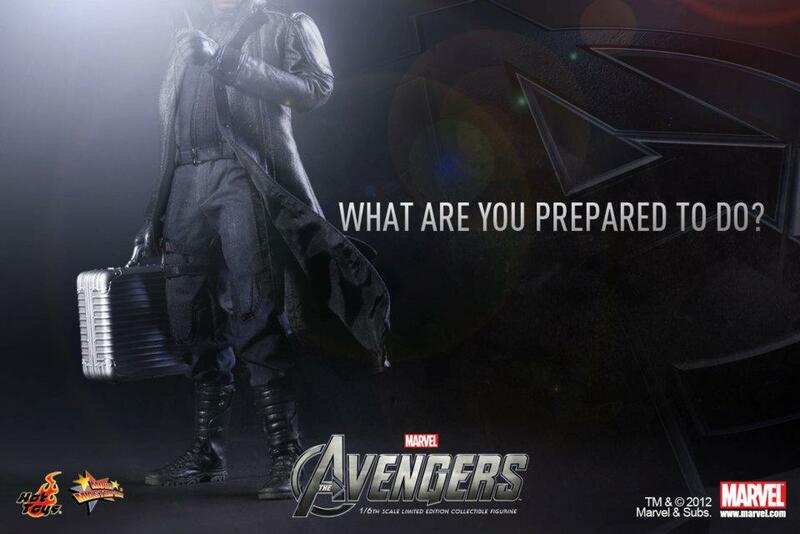 While the preview doesn’t reveal much, they have given us our first look at their Avengers Movie Nick Fury. Happy Chinese New Year to all Hot Toys fans! Few days ago, we just unveiled the Bane Collectible Figure from The Dark Knight Rises movie, one of our license highlights this year. Now, we are proud to present one of the legendary heroes from another upcoming movie – The Avengers. 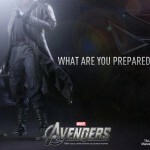 So here comes the collectible of the next superhero from The Avengers – Nick Fury, the director of SHIELD. Hope our fans will like it. More characters from The Avengers will be coming soon! Fans please stay tuned for our update! Probably because Hot Toys knows that Fury's uniform and design is pretty basic and that the Sam Jackson head sculpt is the one thing that people will be most excited about seeing. They always issue teasers before the full reveal. wow, big Avengers and Hot toys fan and never saw this in the works, this is badass, my urge to collect Hot toys is growing, with cap being made, and black widow my iron man friend could use some company.